According to an ancient Filipino legend, when the bathalas (gods) made the world, they took special time in creating the verdant and lovely island nation of the Philippines. The expenditure of extra time was worth it as they saw how beautiful the country is. They were so impressed with their creation that they decided to make 7,107 more of these islands, each with its own geologic, historical, and cultural characteristic. 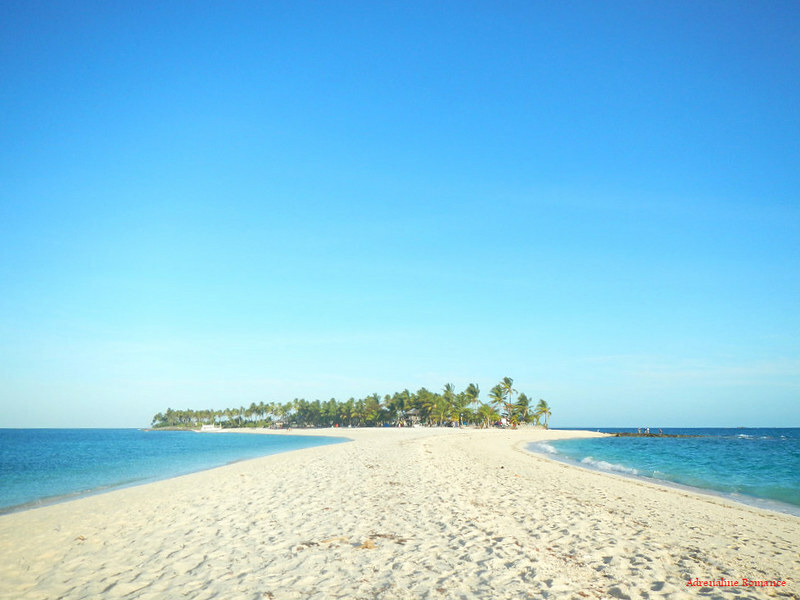 Kalanggaman Island in Palompon, Leyte is one of these beautiful paradises. We heard about the immense beauty and serenity of Kalanggaman Island a few years ago through word-of-mouth by other outdoorspeople. They described so enticingly that we decided we should set foot on it this year. So, along with Mark Monta of Face Cebu and Cebu Bloggers Society, Jerrold Ng of JulyRain214, best friends Alexa and Lei, Rolly Atienza of Paradukdok with his family, Sweetie’s colleagues, and a few close friends, we set forth to this island paradise in the middle of the Camotes Sea. We took the first bus trip to Bogo in North Cebu so that we can meet up with our guide, my brother’s father-in-law Noy Tony, early at 7AM. The trip was shorter than we anticipated, and we arrived at the Bogo terminal half an hour before 6AM. Thus, we had plenty of time to take a hearty breakfast and do some last-minute shopping. Early morning is the ideal time of the day to obtain some farm-fresh produce at very affordable prices. Some of us got sidetracked in watching a common Sunday spectacle, a bard who lets bewildered locals handle his huge pet python. At exactly 7AM, Noy Tony arrived with a caravan of tricycles to take us to Siocon at the northeast side of the municipality, his home baranggay and our jump-off point. It has been more than 26 years since I last visited this place, and it has truly changed a lot. I couldn’t even recognize the landscape! It took us around 30 minutes to reach our jump-off point, which is a rocky, mangrove-rich shore. It is not difficult to see that this is a rich fishing ground for the local fishermen. First things first. 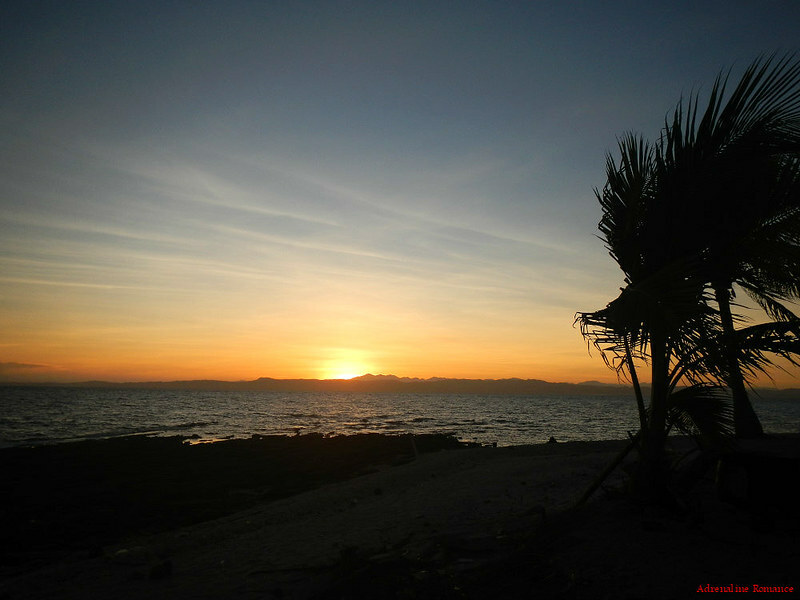 Although Kalanggaman Island technically belongs to Palompon Leyte, we were starting off in Cebu. Thus, we need to register our presence at the Bantay Dagat outpost in Siocon. Registration is important for safety and security. After registration and a last-minute checkup, it was time to board the pumpboat that will take us to Kalanggaman Island. Being used to much larger pumpboats during our travels around the country, Sweetie and I were apprehensive when we saw this relatively smaller pumpboat. Can it take all 20 of us across open water? Apparently, it can although we were in the ride of our lives. Even in calm weather, the journey was rough and wet as the sea was quite choppy. Huge waves slammed at our boat, eliciting screams of fear and excitement! Good thing though that our boatman was extremely skilled and considerate to his passengers. Rather than opening the throttle, he slows down when he sees huge waves coming toward the boat. It took us more than two hours to reach our destination since the boat has to slow down a couple of times to counter the waves. But our patience—and wet butts—paid off when we finally saw the pure white shore and verdant coconut grove of Kalanggaman Island. Just check out that turquoise water. Wait, that is too beautiful to be water! It’s like liquid blue-green crystal! Don’t you just want to jump in? After a little bit of maneuvering, we finally docked at the fine pearl-white sandy beach of this magnificent island paradise. There were already a lot of vacationers when we arrived there. Look at that stretch of fine white sand! In fact, it is so white it exudes an extremely bright glare that can hurt your eyes and possibly damage your retinas. We recommend you wear good-quality sunglasses with a dark or mirrorized tint. After paying the appropriate fees to the island’s caretaker, we set up our tents right behind this clearing, which doubles as a volleyball court. We chose this area as it offered plenty of shade, and there was a vacant cottage nearby. 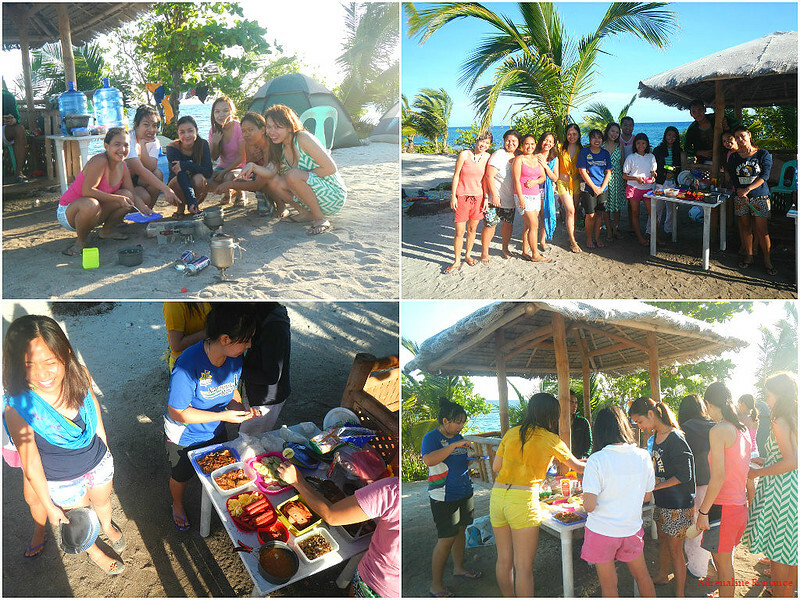 Since it was almost noontime when we reached the island, we decided to prepare a filling lunch. 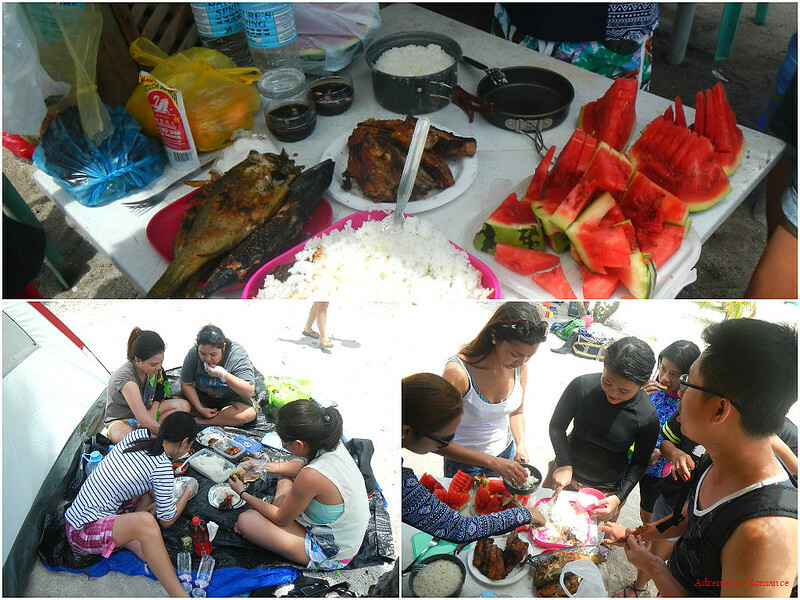 After an hour, our grilled pork and fish, fruits, and other viands were ready. Bon appétit! After filling our tummies, everyone went to mind their own leisure. Some went swimming while others took a much needed nap. Sweetie and I decided to check out the island. It is heartening to know that despite its relative isolation, Kalanggaman Island is equipped with the necessary facilities and amenities that make life a bit easier in the middle of the sea. There’s a lifeguard station so that trained personnel can keep an eye out on swimmers. There’s also a registration center which doubles up as a store. For those who want to prepare barbecues, a concrete barbecue grill is provided, but guests will have to bring their own charcoal. 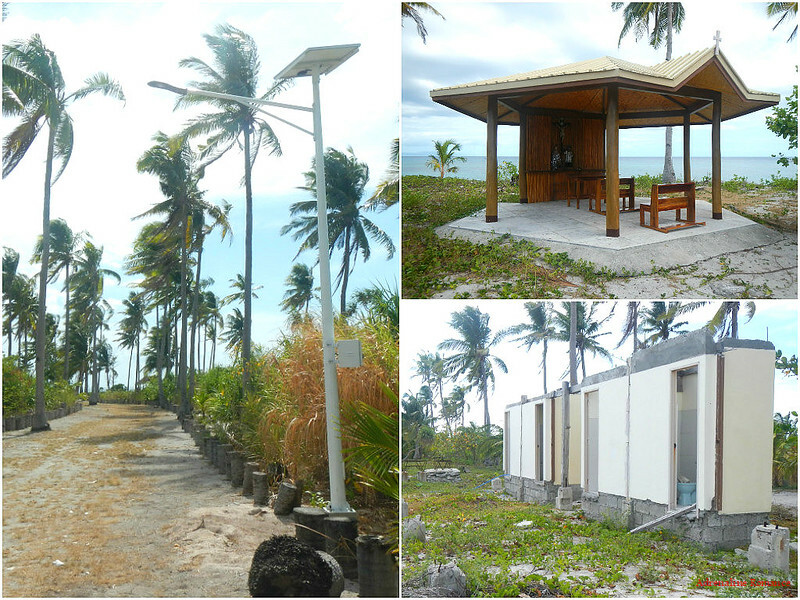 Guests will also be happy to know that the LGU of Palompon decided to erect a functioning bath and toilet on the island. 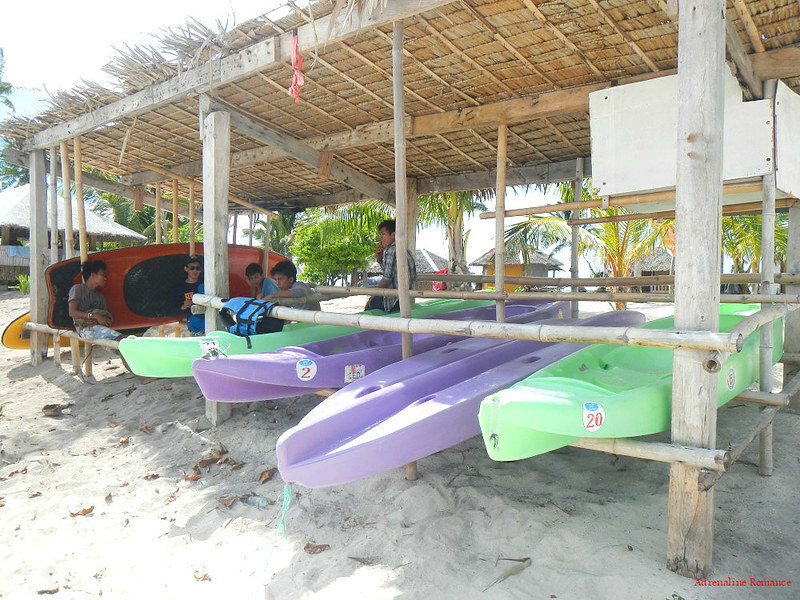 Kayaks and paddle boards are available for rent at affordable rates. It’s definitely fun to paddle around the island, but stay close to the shore for safety. Remember that the island is surrounded by open seas, and the open water currents are strong and unpredictable. 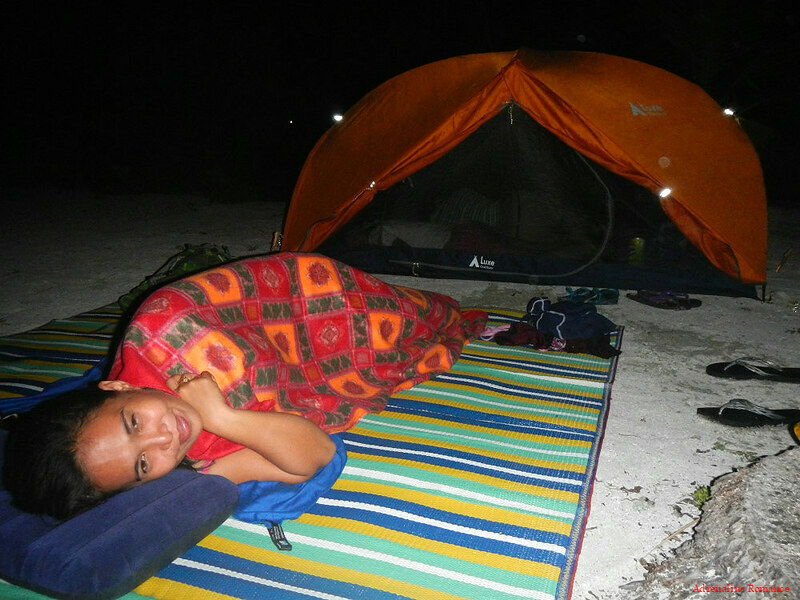 The entire Kalanggaman Island is practically a campsite. 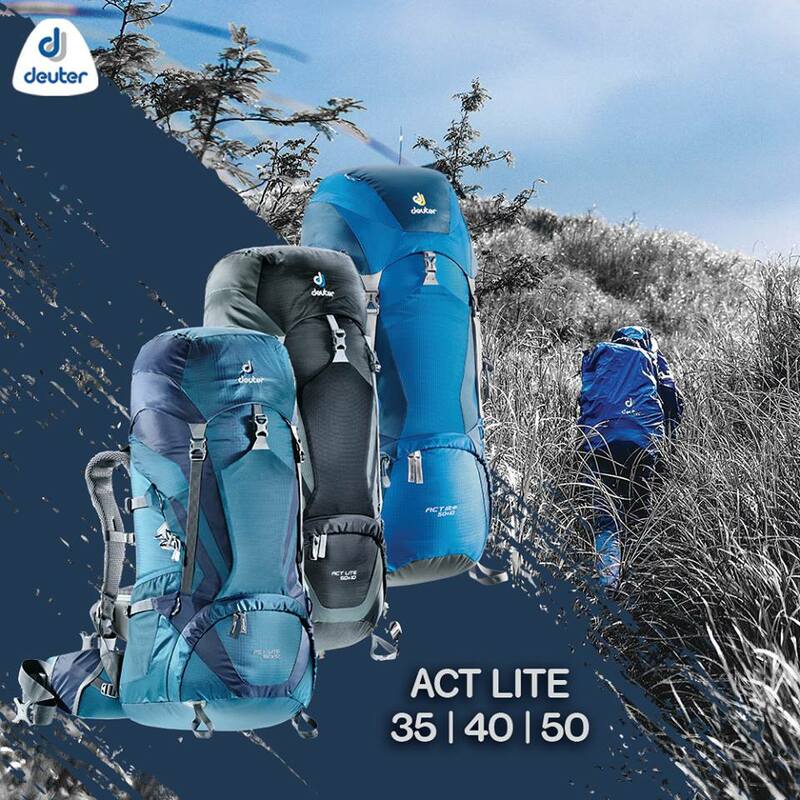 We suggest though that you set up your tent at shady areas; the interior of the tent becomes unbearably hot. Guests who don’t have tents can hire one from the registration center or can rent an available cottage. 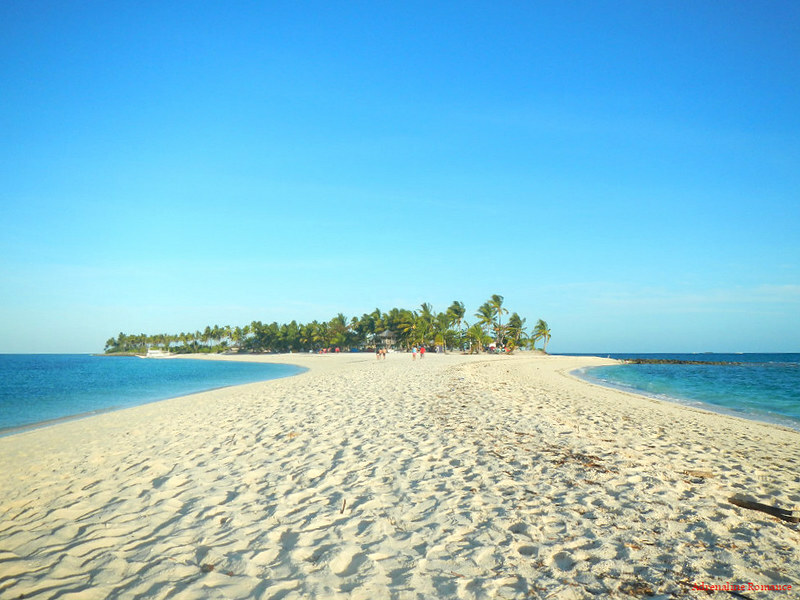 The south side of the island features a gorgeous, long, 100-meter plus sandbar made up of exquisite white sand. Most visitors never fail to walk along this lovely stretch of beach that is surrounded on both sides by liquid lapis lazuli. Viewed from above, Kalanggaman Island looks like a bird in flight that is viewed straight on. This sandbar forms the right “wing” of the bird. Perhaps this is why Kalanggaman is named so (with the root word langgam, which means bird in Cebuano) because it looks like a flying bird. As you may have guessed, the sandbar is an exquisite sculpture formed by the consistent power of the sea after eons of erosion. However, aside from washed up corals, rocks, shells, and seaweed, there are things that don’t belong here—human trash. Visitors should pick up and pack up their own garbage. Man-made plastics and glass are harmful to marine organisms. 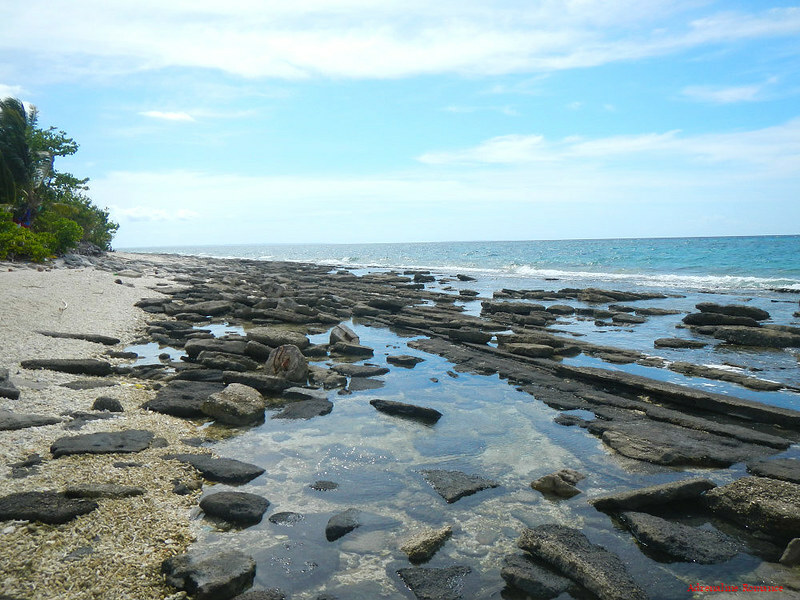 The eastern side of the island, the side that faces Palompon, Leyte, features an interesting rocky shore. The rocks are formed like concrete slabs that are stacked on each other in layers. 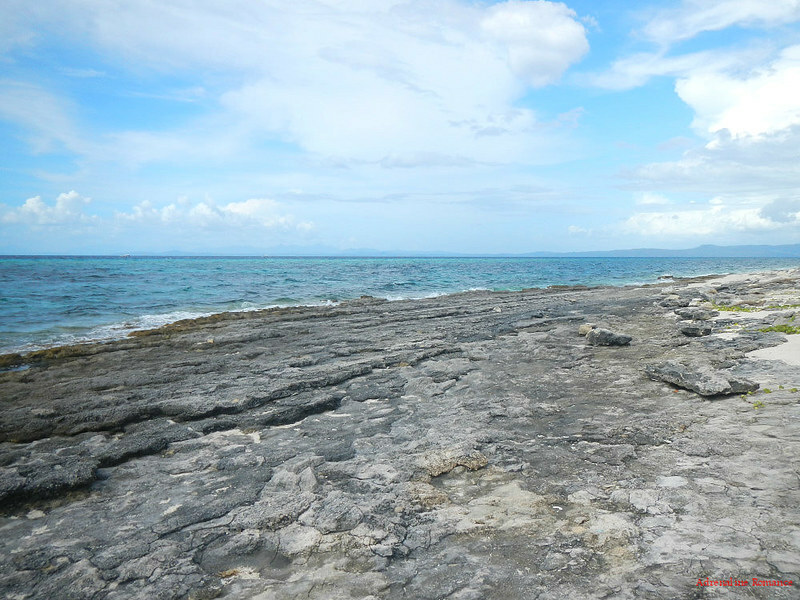 It’s pretty interesting, and it’s one of the geological wonders of Kalanggaman Island. The water around the sandbar was so inviting amidst the scorching heat that Sweetie and I simply stayed and relaxed there for a few hours. At around 4PM, when the heat was more bearable, we decided to explore the northern part of the island. 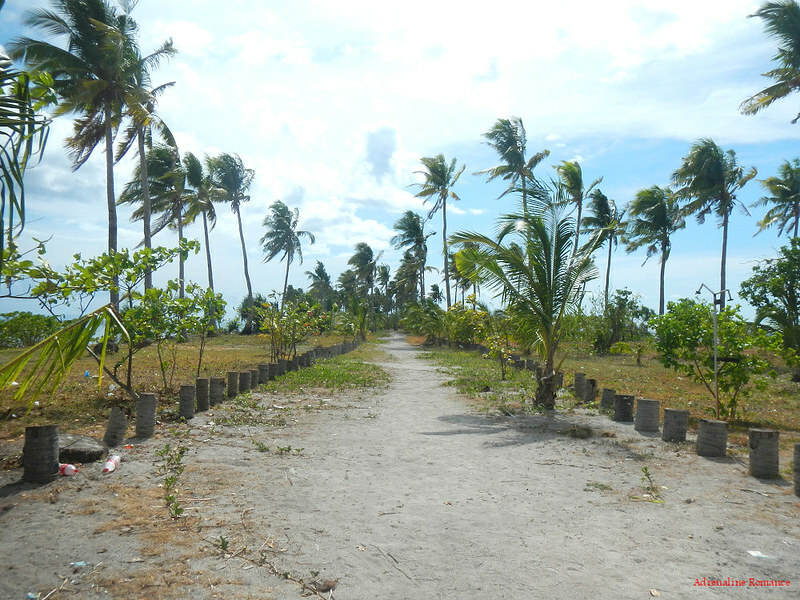 The LGU has created a huge dirt road that runs to that end of the island. You won’t get lost as it is marked by chopped up coconut tree trunks. As we walked farther, the sound of human activity diminished, replaced by the lullaby of the sea—a lullaby composed of the sound of rustling leaves, crashing waves, blowing sea breeze, and bird calls. It seems that this part of the island is intended as an expansion. But for some reason, the expansion might have been halted. We found a clean open chapel and remnants of an unfinished row of toilets. There are also solar powered light posts that line the road. Finally, we reached the northernmost part of the island, which is a shady coconut grove. It is completely devoid of human presence, making it a perfect place for reflection. A couple of open-air huts are erected so explorers can relax. The huts also act as shelters for local fishermen. There was supposed to be another sandbar here which mirrors the one at the south end of the island. That sandbar forms the left “wing” of the bird-shaped island. Unfortunately, the northern sandbar disappeared after it got swept away off the face of the earth when Typhoon Haiyan devastated the region in November 2013. 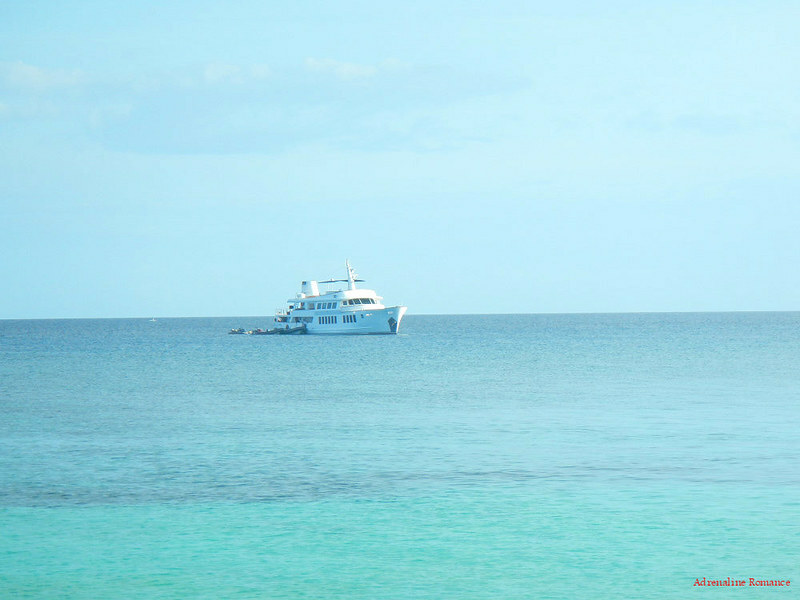 We saw a luxury yacht that dropped anchor at the northwest side of the island. Yachting must be a great adventure and a spiritual experience. Just imagine being in the middle of the sea for several days, weeks, or even months! The island’s caretakers mentioned that there is a pristine dive site there. Hopefully, we can visit that site someday. Layered slabs of sea-born rocks form the eastern side of the island. 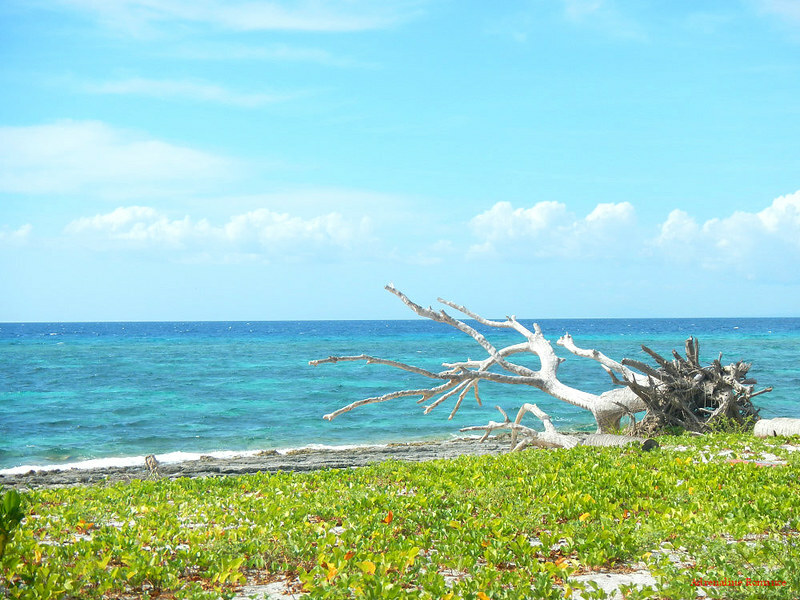 A lone, fallen tree, bleached by exposure to the sun and sea, stands guard at the east side of the island. The dark patches of in the clear aqua green water means that there’s a rich amount of sea grass and corals in that area. 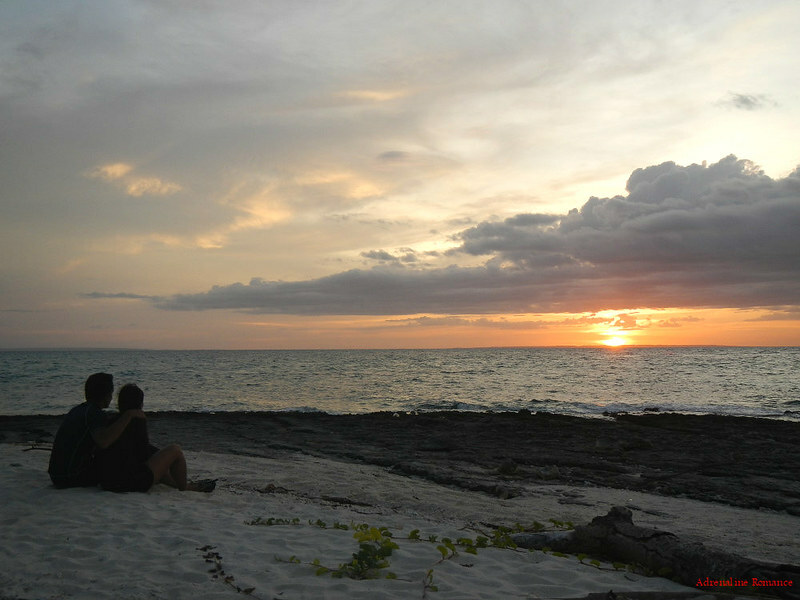 Nothing can be more romantic than watching a beautiful sunset on a sandy, tropical, paradise island. Oh yes, while watching the sun dip lower on the horizon, we whispered sweet nothings. It was getting dark, and we’re not sure if the solar powered lamps are functional. So, Sweetie and I returned to camp and helped our friends prepare an awesome and delicious dinner. Let’s try something new for a change. Why not sleep directly under the stars? Well, that’s what exactly Sweetie and I did. We simply placed a large banig (traditional woven mat) on the sand, inflated our balloon pillows, and grabbed a blanket. 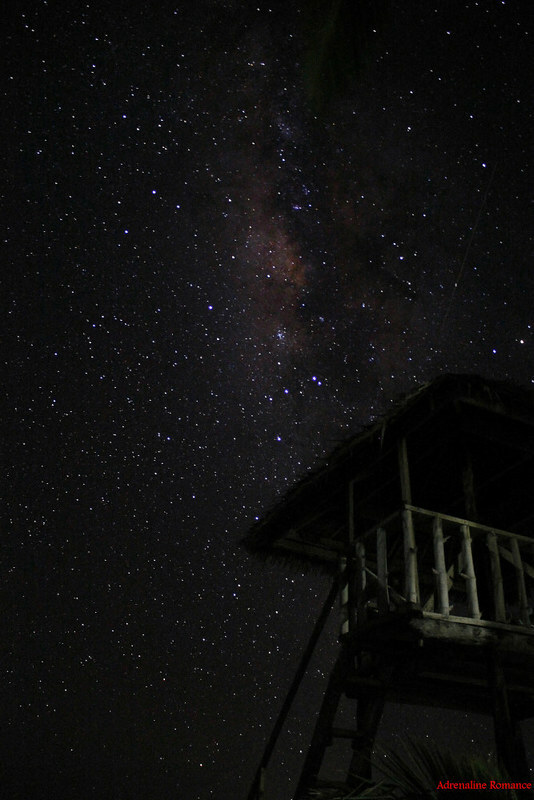 What could be more awesome than stargazing at the beach while being caressed by the cool sea breeze? At around 8PM when everything was silent and still, the sky blazed with the glory of a thousand, thousand stars. That’s the edge of our very own Milky Way galaxy. We used to see starry, starry nights like these when we were kids—when the sky was not contaminated by smog and skyglow (light pollution coming from city’s artificial illumination). Now, people can only see spectacles like these in areas away from modern civilization. Lulled by the cool breeze and the music of crashing waves, we drifted off into a peaceful, sea-induced slumber. Our sleep was straight and uninterrupted thanks to quiet, very understanding, and considerate overnighters. We wish all outdoorspeople were as professional and considerate as them. We woke up just in time to witness a lovely, bright sun rising up to begin another day. Check out that uninterrupted view of a magnificent sunrise. 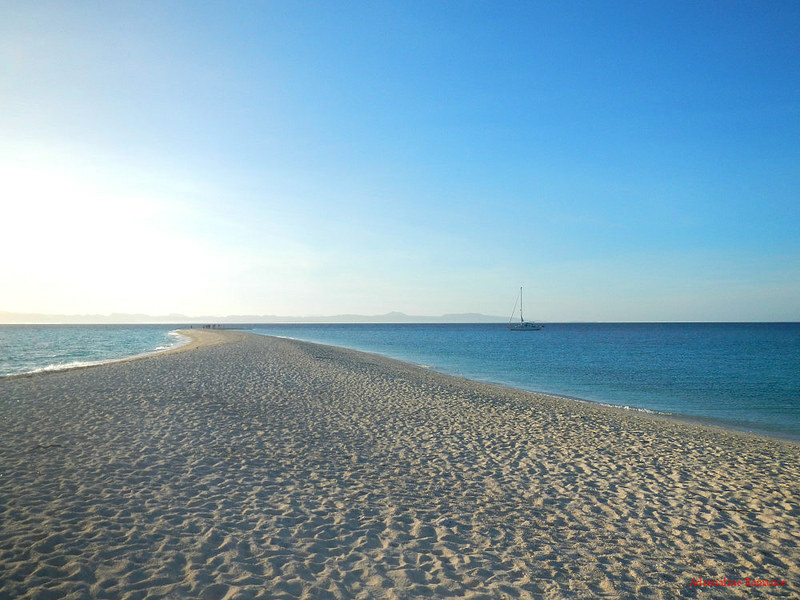 Under a clear blue sky, the south sandbar simply looks spectacular in the early morning sun, isn’t it? It looked like we were in the middle of the Mediterranean Sea which, we read from various sources, is home to otherworldly vistas. Oh look, another yacht docked offshore during the night. Uhm, can someone invite us to go yachting? 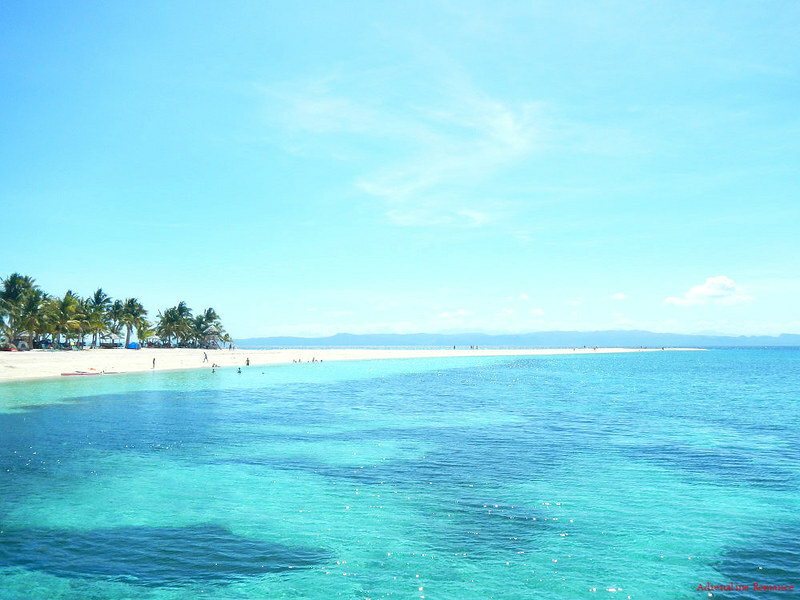 That’s the tropical paradise of Kalanggaman Island as viewed from the sandbar. Don’t you just want to leave the world behind and settle on this Elysium? That’s our million-star hotel during the night—a simple mat and a trusty Luxe Habitat camping tent. Breakfast, of course, is the most important meal of the day and shouldn’t be missed. So when we rang the bell, everyone left the water and rushed in to take great chunks of hotdogs, scrambled eggs, meatloaf, fried anchovies, and other delights. 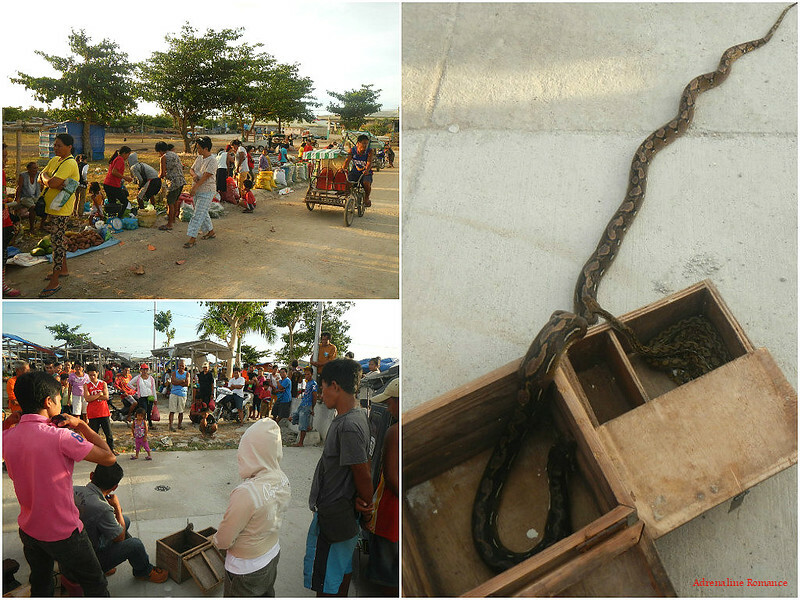 Our boatmen, who went back to Cebu mainland for the night, won’t arrive until around 9AM. 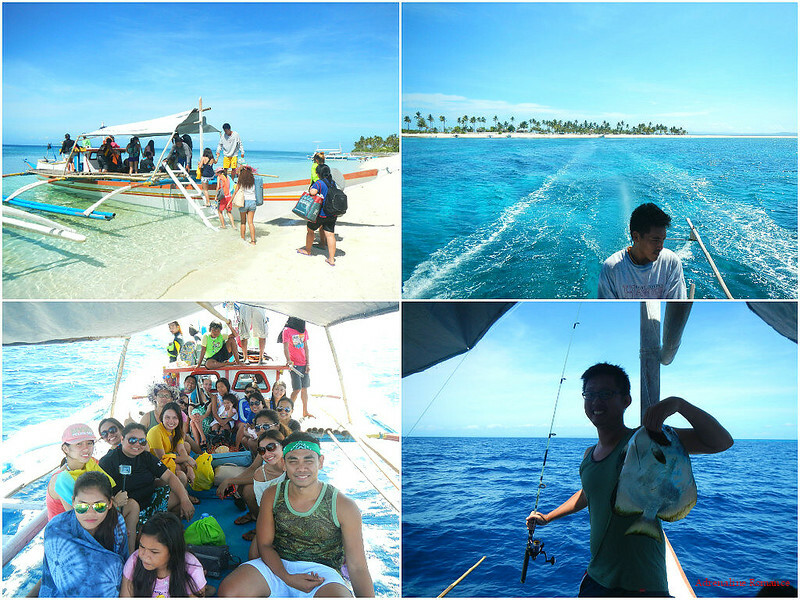 So we had plenty of time snorkeling and exploring the nearby marine sanctuary at the west side of the island. We needed to swim to around 8 to 10 feet of water to get to the sanctuary. 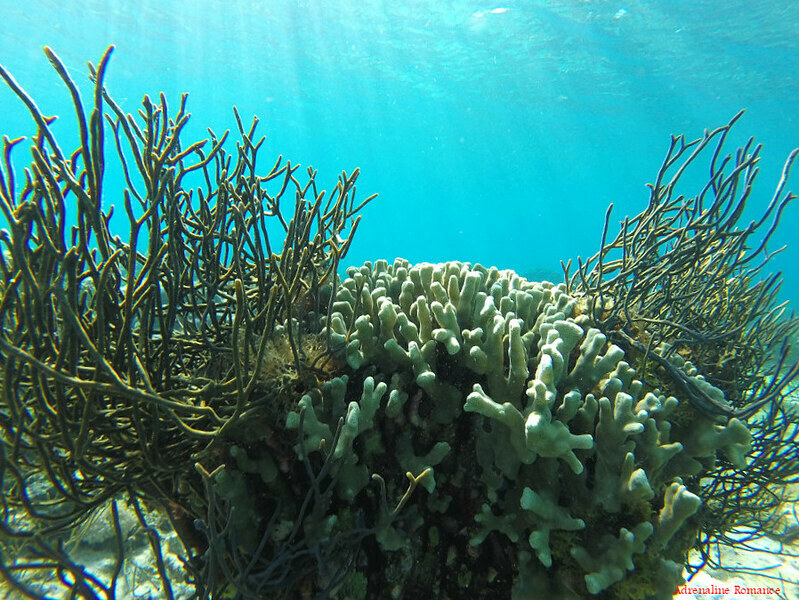 Colorful hard corals that are shaped like pods dominate the underwater world of Kalanggaman Island. 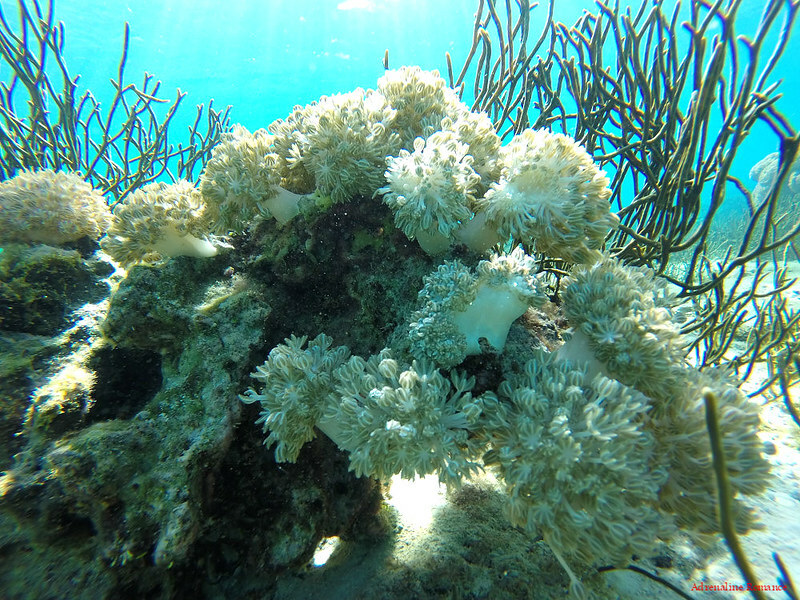 And where there are corals, there are lively marine creatures. 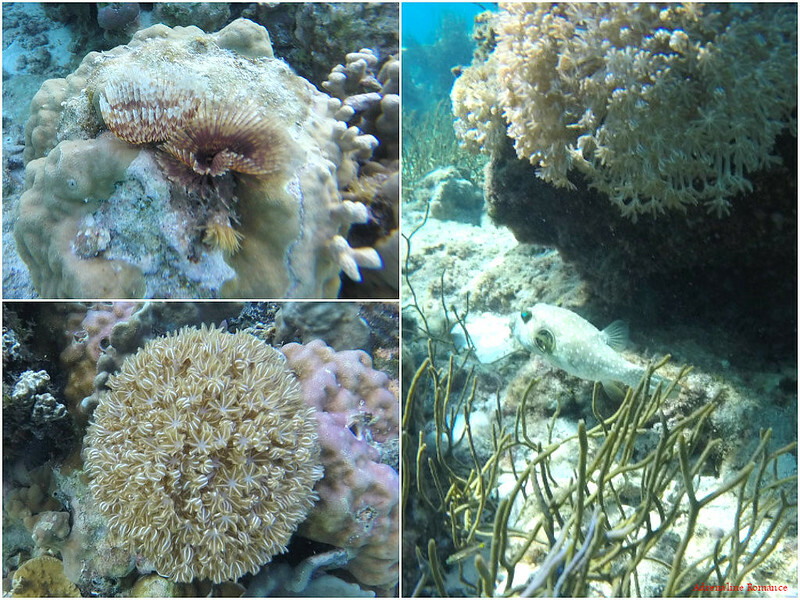 We found this lizardfish resting happily on top of one of the corals, doing his early morning sunbathing. Can you also see the arms of a spindly starfish hiding in the crevices? There were also Christmas worms and bristling anemones all around the sanctuary. And, behold, we found a small pufferfish hiding among the rocks. It swam away before it could puff out. Hehehe! 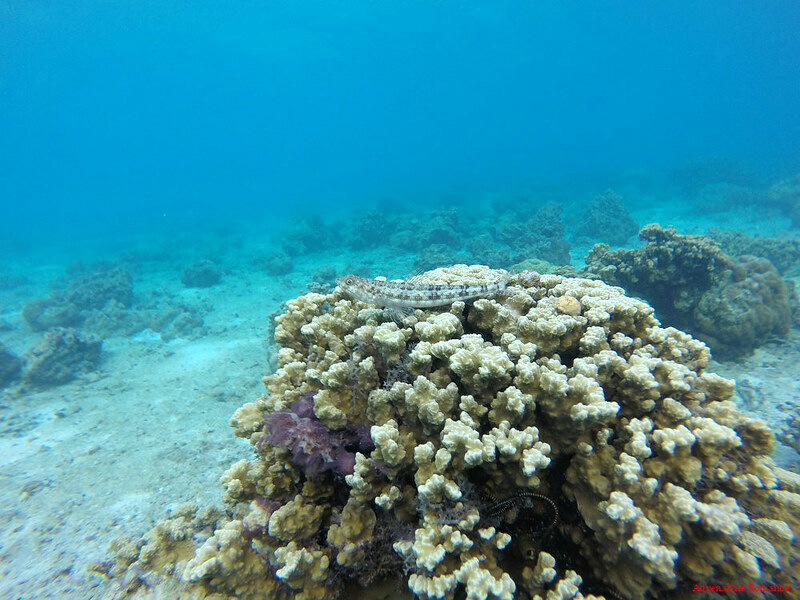 Lots of soft corals gently sway with the gentle current as if dancing to the emergence of a new, bright day. 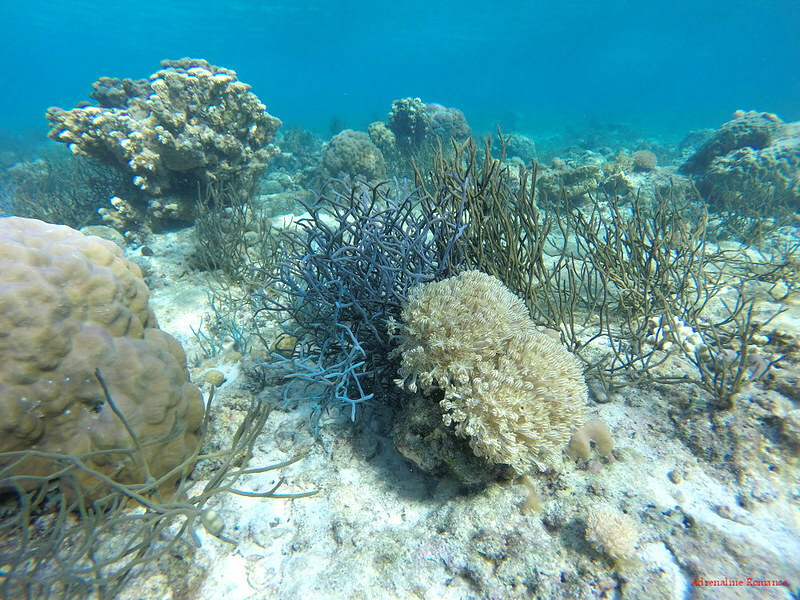 Along with rocks, anemones, and pod-like corals, there are also plenty of these thin, spindly corals that look like branches from leafless trees. Be careful as they are quite delicate. No wonder we’re always excited when we go snorkeling or diving; the wonders that the waves hide are simply innumerable. With great friends comes great company! 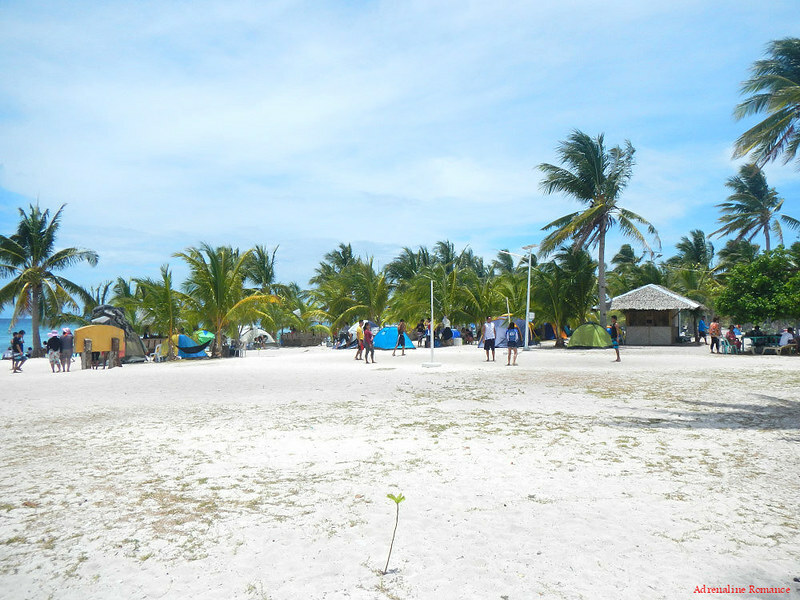 Kalanggaman Island is the perfect hideaway for lovers, friends, colleagues, and families to hang out. At around 8:30AM, Noy Tony arrived with our boat. It was time to say goodbye to this idyllic, sandy paradise, which served as our Eden for a weekend. Along the way, Jerrold finally caught a large fish after spending two days of unsuccessful angling! We would like to give huge thanks for Noy Tony, my brother’s father-in-law, for making our trip efficient, wholesome, and hassle-free. 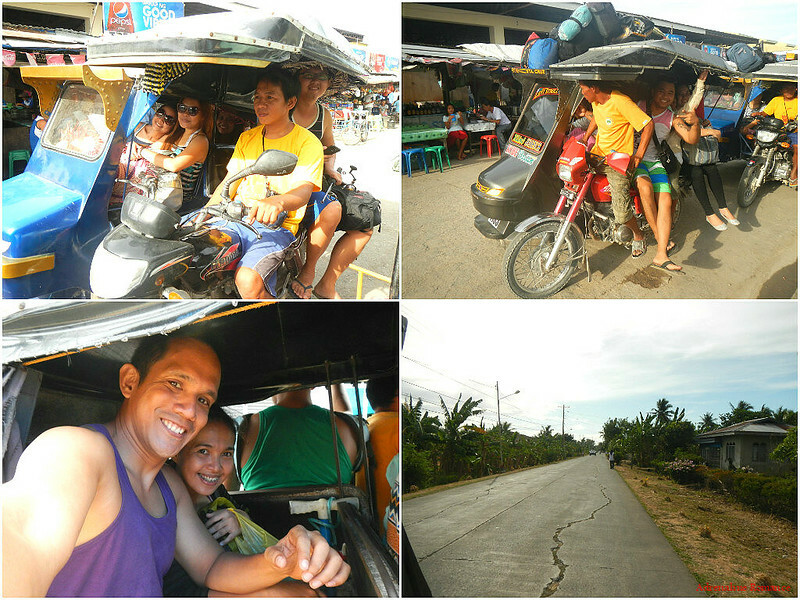 He took care of the boat, our permits, and even the tricycles that took us to and from Siocon. You are in good hands with Noy Tony. 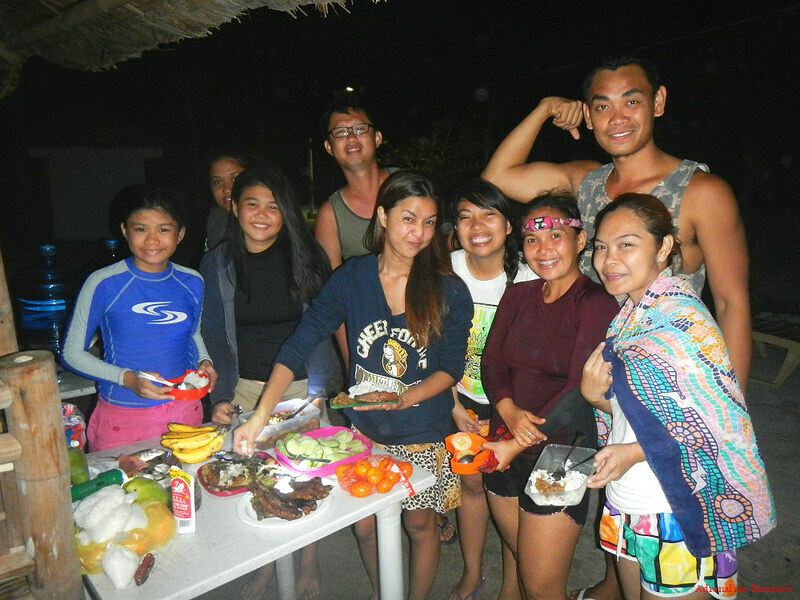 Thank you too to the beautiful guys and gals who came with us to Kalanggaman Island. 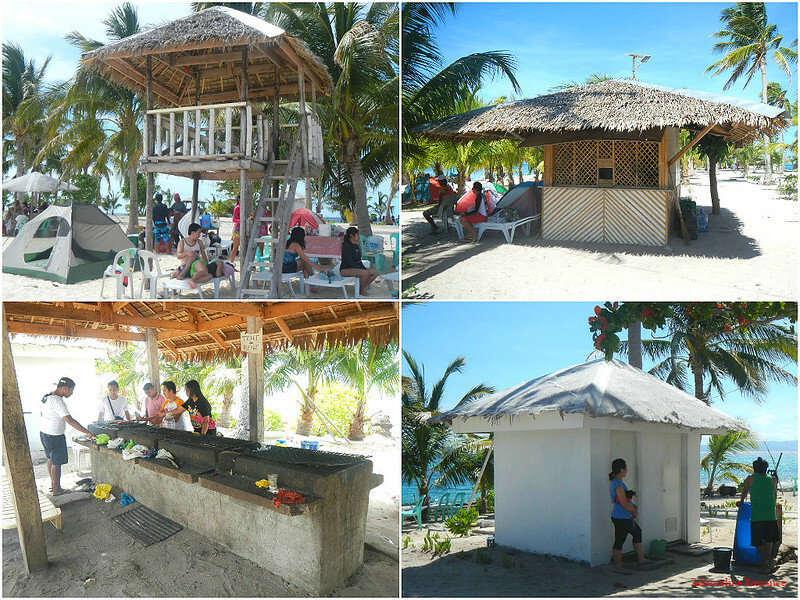 Our weekend vacation in this tiny and beautiful spot in the Philippines was a memorable, fun-filled one. And we promise you, this won’t be the last of our visit. In fact, this is only the beginning! 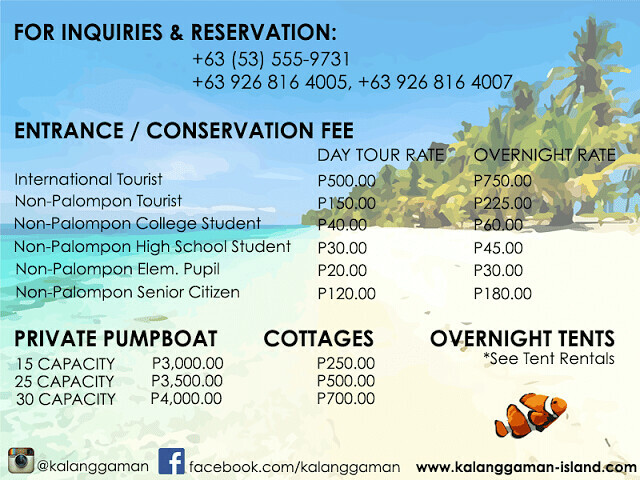 The Palompon Tourism Office has instituted new rates for Kalanggaman Island. They also have new phone numbers. Please see Tip No. 3 below. 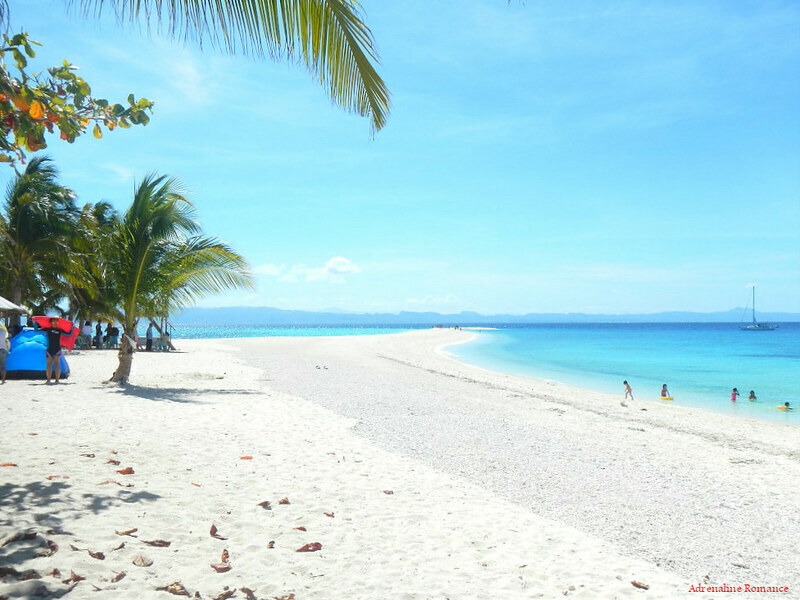 Alternatively, you can get in touch with Mr. Jose Amistoso if you wish to go to Kalanggaman Island via Malapascua Island. Check out our Malapascua Budget Inn post for his contact details. He can help arrange your Kalanggaman Island tour for you. 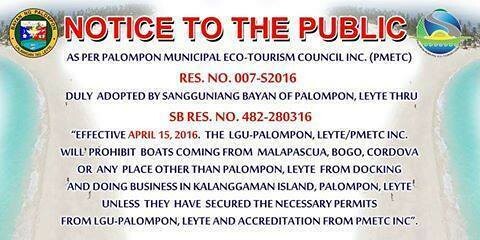 Please note that effective last April 15, 2016, boats from Bogo, Malapascua, Cordova, or any other place except those originating in Palompon, Leyte, cannot dock or do business in Kalanggaman Island unless they have the necessary permits and accreditation from the Palompon LGU. Please check the photo below. Thus, before booking and finalizing your deal with a pumpboat other than those in Palompon, make sure you ask the pumpboat operator if their boat is accredited by the LGU in Palompon. 12 PM – swimming, snorkeling, sunbathing, etc. ** The boat rate is practical and cost-effective if you are originating from Siocon and there are more than 10 of you; the boat fare can be divided between your team members. 1. For boatman services, contact Tony Cataquez at 0907-388-3283 or 0918-237-3372. 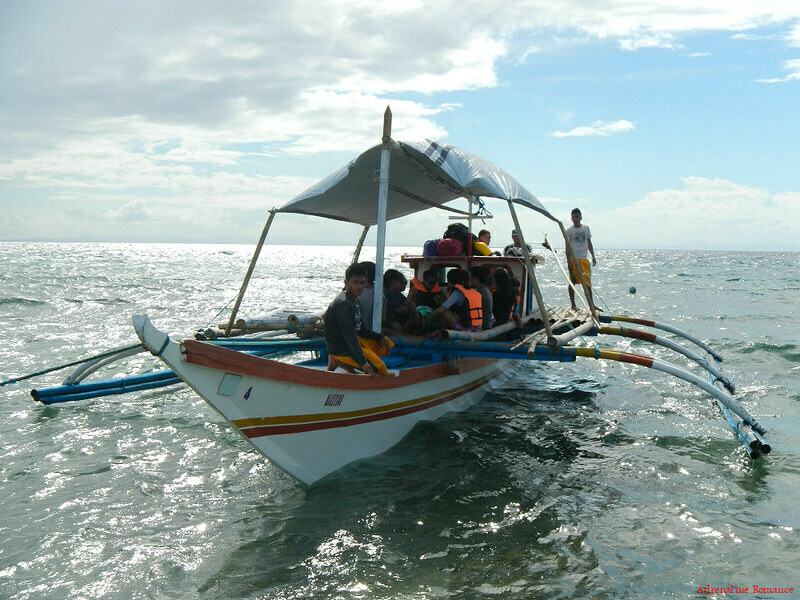 Option 4: Take a boat/fast craft going to Ormoc City then ride a 2-hr van going to Palompon. 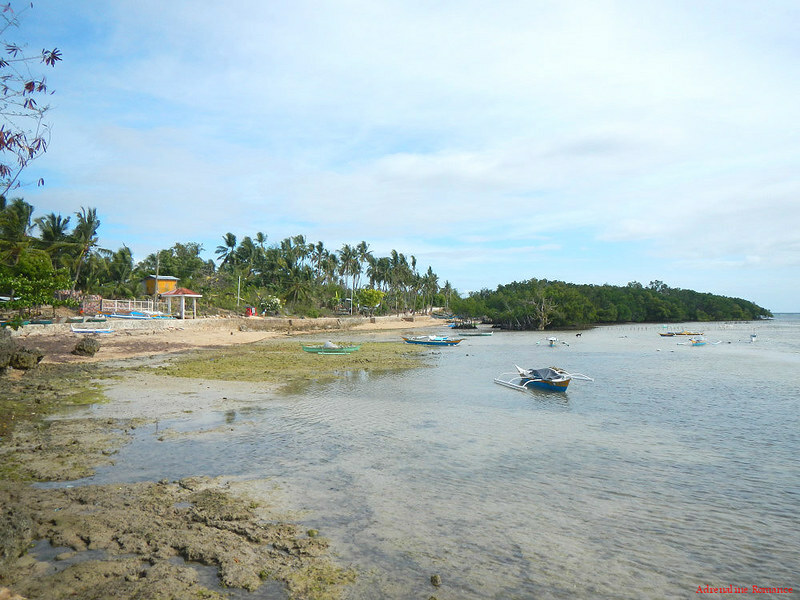 In Palompon, visit their tourism center and arrange a pump boat that will take you to Kalanggaman Island. Take a direct flight to Tacloban City. Ride a van going to Palompon. Travel time is 2-3 hours. 4. Save for the registration center that also sells a limited number of softdrinks, snacks, and soap, there are no stores in Kalanggaman Island. Buy everything you need in Cebu mainland. And by everything, we mean everything—water, food, drinks, ice, etc. 5. The grill can be used free of charge, but you need to bring your own grill food, cooking utensils, and charcoal. 6. The island has a toilet and bath, but please save water because fresh water is a very scarce resource here. Do not use more than you should. We suggest you take a shower when you get back to the mainland. 7. 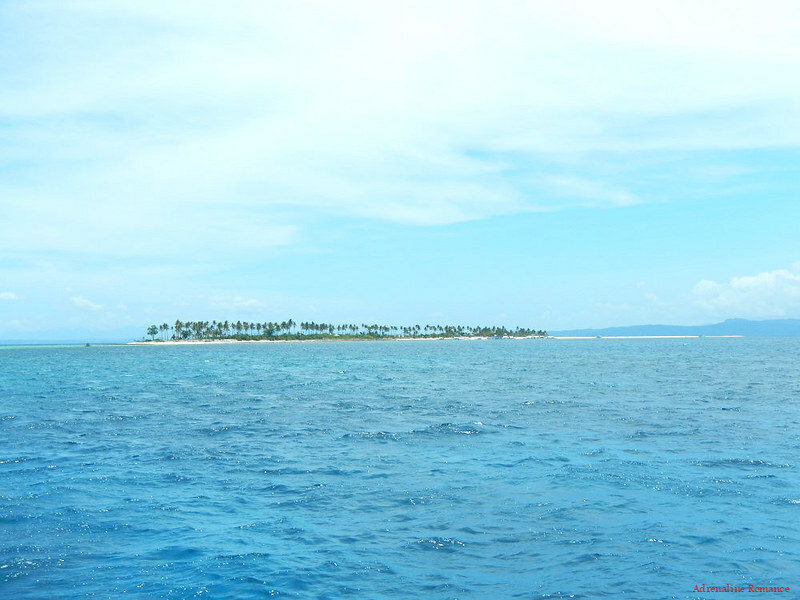 Start your trip to Kalanggaman Island early to avoid sailing in rough seas. 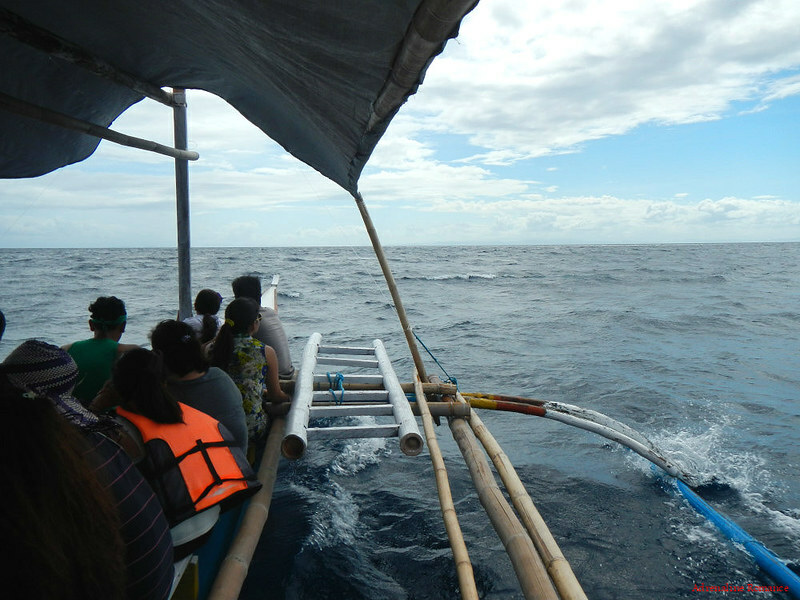 Remember that you need to cross open water to get to Kalanggaman Island so large waves ar expected. 8. 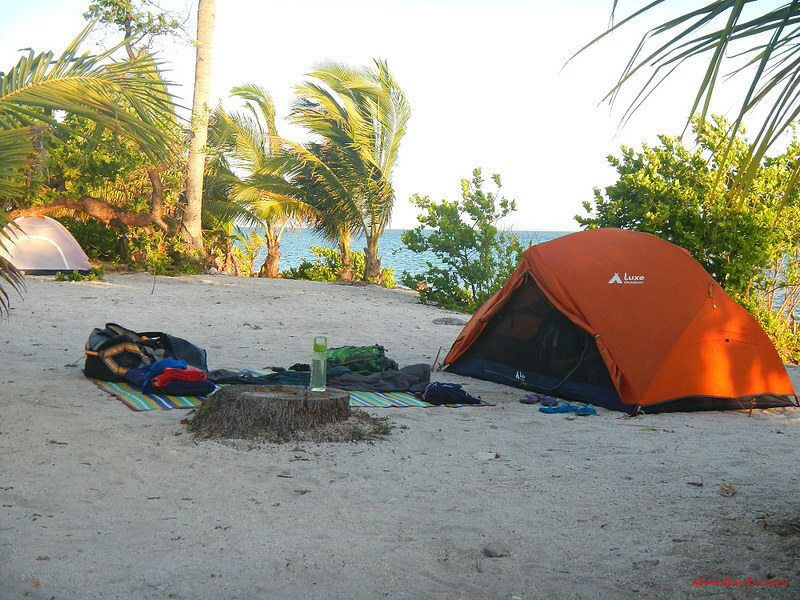 Bring a tent; it’s a great experience camping out there in an isolated island. 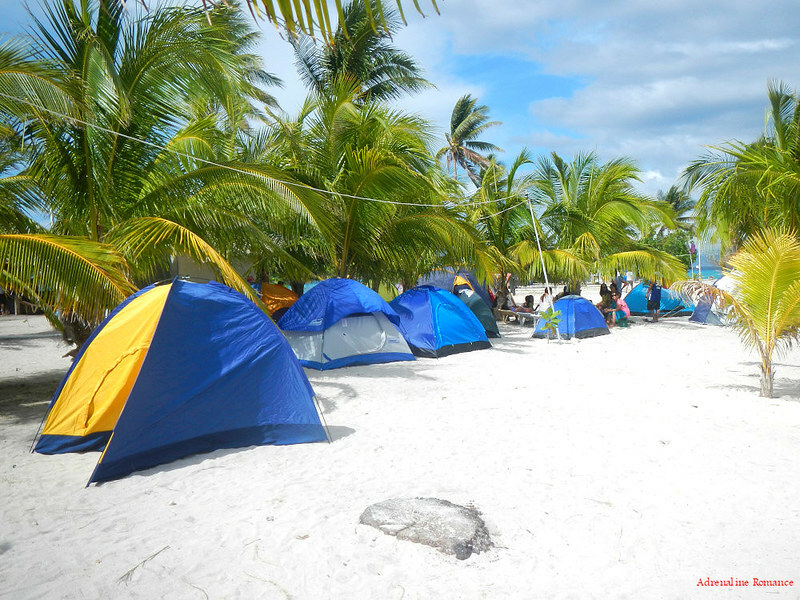 In addition, you’ll save money as pitching a tent in Kalanggaman Island is free. If you don’t have a tent, you can rent one at the registration center. 9. If you plan to snorkel, bring your own mask and snorkel set. 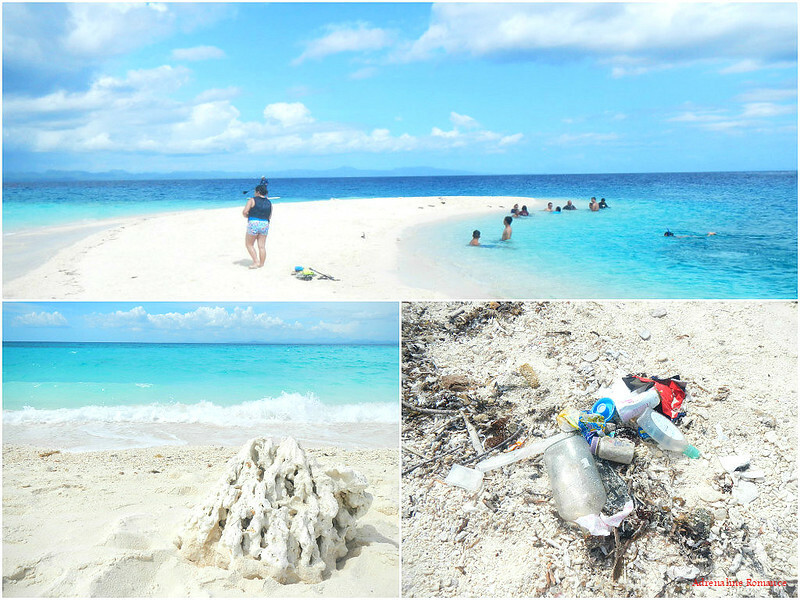 There’s no snorkel set for rent at Kalanggaman Island. 10. Be extra careful when swimming at the tip of the sandbar. The water there is quite deep since the edge of the sand bar follows a steep incline. Wear PFDs or bring a flotation device for safety. 12. 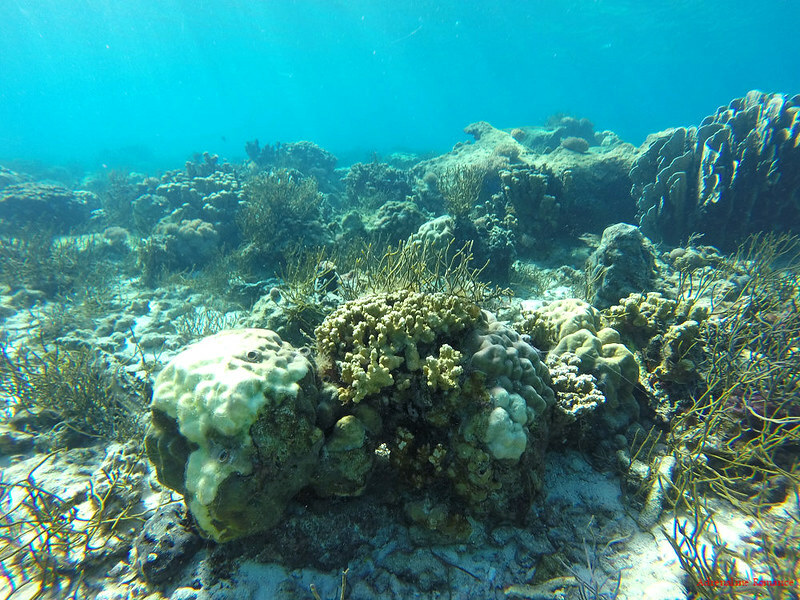 Be careful not to touch the corals when snorkeling. Corals are very fragile. 13. Remember to Leave No Trace of your visit. Do not litter; place your garbage in a large bag to be taken back to the city for proper disposal. Do not take any rock, plant, sand, that belongs to these paradises. Hi! about the food, is it better to bring cooked or just cook it there? And what did you do with the rice? or hot water? Thanks! For cooking rice or hot water, you can bring your own pot and place it on the grill. We also cooked our meals using a cookset that we bring in our camping/mountaineering trips. This is so much help. I was able to book for Tacloban for next year July 2017 and I’m hoping to include this in my itinerary. 🙂 thanks. Thank you! We’re glad to know that our humble blog post helped you on your upcoming trip. hi! planning to travel solo on sept28 2016. just an overnight stay. any suggestion how can I enjoy the island tour without hassle? thanks! We’re not sure what you meant by “without hassle.” Can you elaborate? Thanks! i am from gensan. have any ideas about the itenerary and budget? It’s in the blog post. Please re-check. Thanks! why did they call it kalanggaman island? It is explained somewhere in the blog, but we’ll just copy-paste the paragraph here. “Viewed from above, Kalanggaman Island looks like a bird in flight that is viewed straight on. This sandbar forms the right “wing” of the bird (There’s another sandbar at the opposite end which forms the left “wing.” But it was washed away during the onslaught of Typhoon Yolanda). Unfortunately, Tony doesn’t have an email address. You can contact him through his cell phone. If you can’t, we have an alternative. 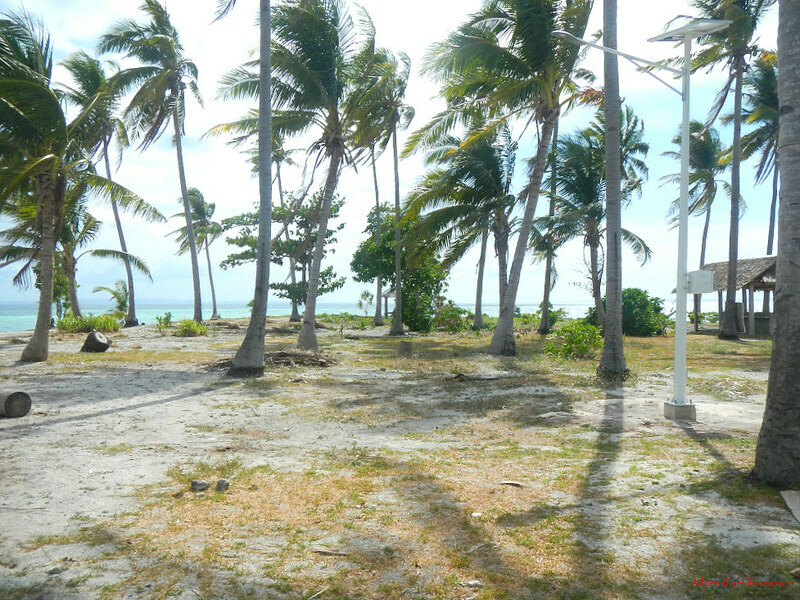 Check out our Malapascua Budget Inn post, and contact Mr. Jose Amistoso. He can help arrange your Kalanggaman Island tour for you. Yes, it is definitely possible. Please check the Update dated 11/10/2016 in this blog. 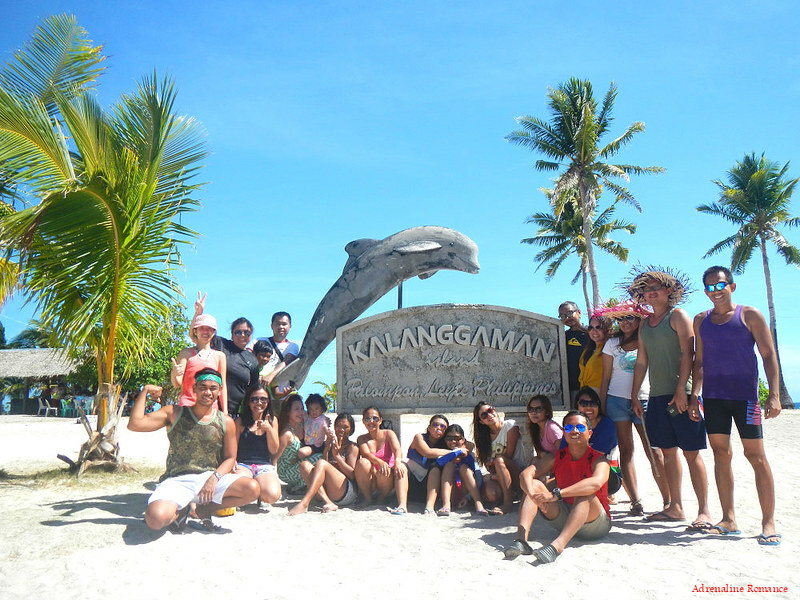 There’s a link there that leads to our recommended provider in Malapascua who can facilitate your tour to Kalanggaman Island. Hello there. I would like to ask for Maam Tony’s number? I and my bff will go to Kalanggaman probably early next year. Please take time to read the blog post in its entirety. Tony’s number is in the blog post, particularly at the Tips section. Thank you. Hello there. What is the ideal month/s for us to visit Kalanggaman? To avoid rainy seasons and the like. Thanks. 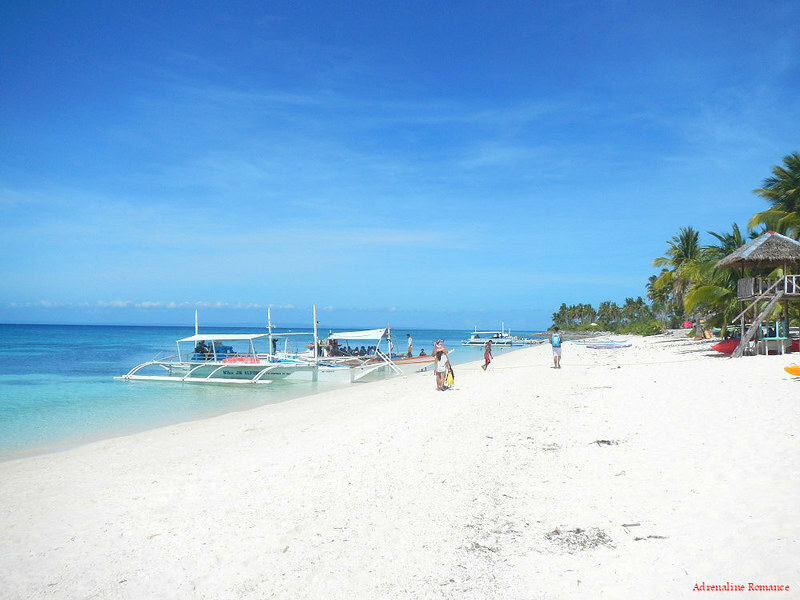 Philippine summer months, March to June, are ideal months to visit Kalanggaman Island. OMG! I’m in love!!! I can’t wait to visit this island. Now I don’t even know where to go first. Thanks for the info. 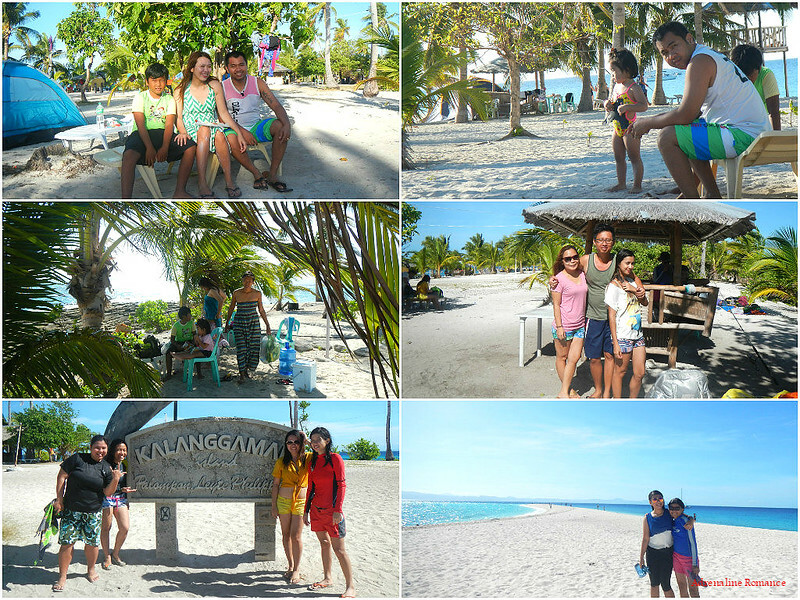 Summer is the best time to visit Kalanggaman Island. You are fortunate that you found a partner in life who shares your passion. I pray that you remain blessed. sir, ask ko lang kung ano po pinakamurang boat from bogo? 2 pax lang kami. hehe kung mahal tagala hahanap na lang kami ng masasamahan. Happy new year, and thank you for the kind words. As to your question, just like virtually all boat operators in the Philippines, they charge PER BOAT and NOT per person unless you are riding a public ferry. Unfortunately, no public ferry sails from Cebu or Palompon to Kalanggaman. You have to hire a boat. 1. you save money for the trip. 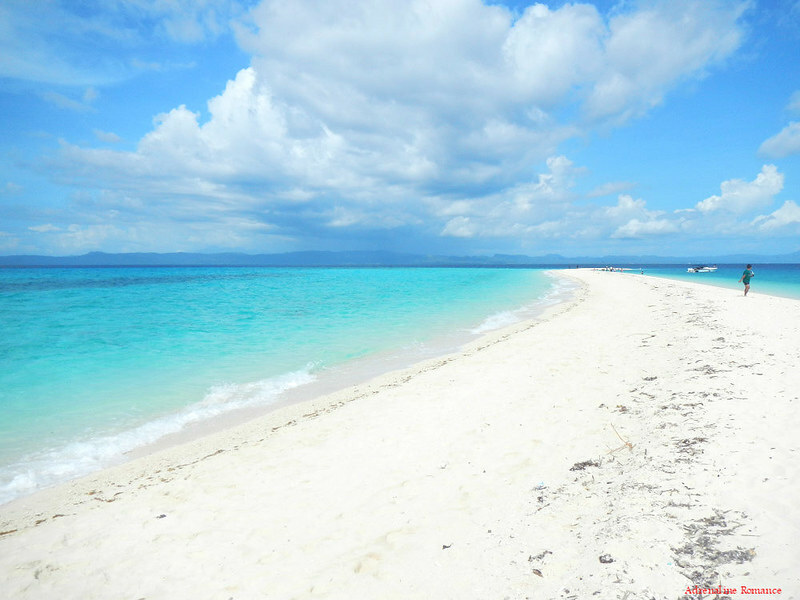 3. you can try your luck and join a group that goes to Kalanggaman Island on the day of your trip. Thank you for your post! Very informative! There are 4 of us who are traveling from Canada in May 2017 and we are planning on coming to this island via Malapascua island. Just to confirm, did you say that we can rent tents from the registration centre/”store” that is actually located on Kalanggaman island? We are backpacking and don’t want to bring our tents from Canada but definitely want to spend the night! Thank you for visiting. Yes, they have tents that you can rent, but the number of tents that they have may be limited. 3) rent an open-air cottage in the island. 4) We also heard from a friend who recently went there that there is now a small resort at the rocky end of the island (sad because resorts actually destroy the beauty of the island). Great! Thank you for the info! Are the open air cottages okay to sleep in? I doubt there is a bed inside! If we are coming from Malapascua island do we need to register like how you did in Siocon? The open-air cottages don’t have beds; they have bamboo benches where you can lie down. Not sure though if you’re comfy with that. 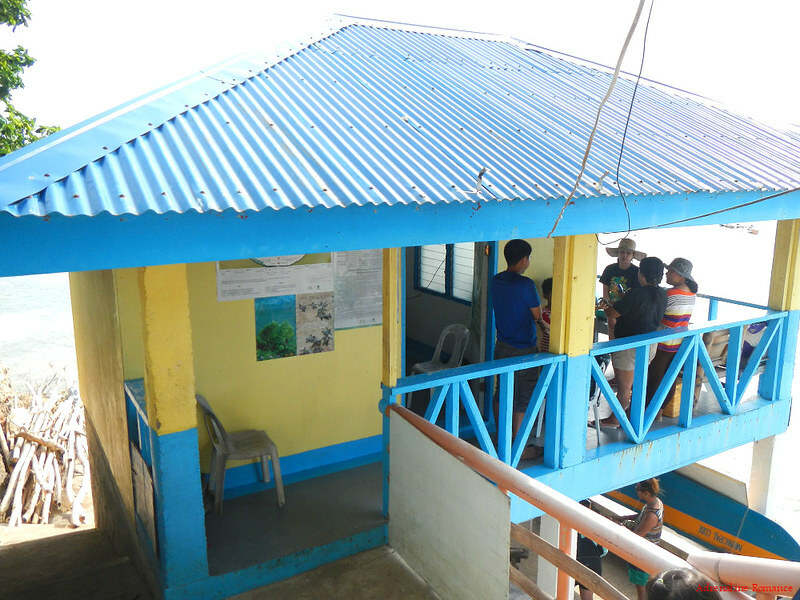 If you’re coming from Malapascua, just make sure that the boat is accredited by the Palompon LGU; you can ask your boatman if their boat is accredited. Normally, they will take care of the registration. 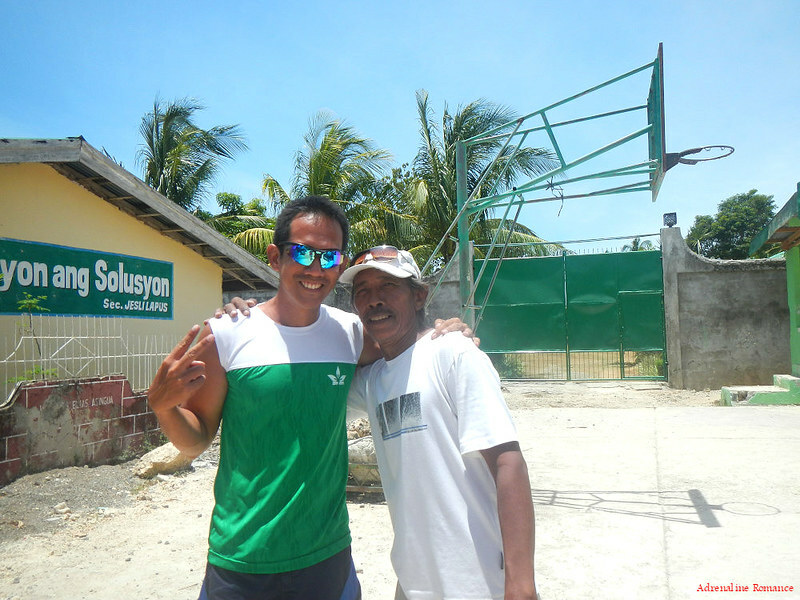 If you are coming from Malapascua, we suggest you get in touch with Mr. Jose Amistoso of Malapascua Budget Inn to help you with your Kalanggaman island tour. Check out “Update (11/10/2016)” of this blog post. Most likely, there are boats that go directly from Malapascua to Kalanggaman and vice versa. Note that these are RENTAL or FOR HIRE boats as there are no regular ferries to Kalanggaman. Just make sure 1) the boat you are hiring is accredited by the Palompon LGU (see Updates section), 2) tell your boatman to fetch you on the day of your return (most likely, he will go home and fetch you in the morning), and 3) get his phone number. Yes, you are allowed to swim there. We know it was a sanctuary because the caretakers there said so. And when we asked if we could swim there, they said yes. 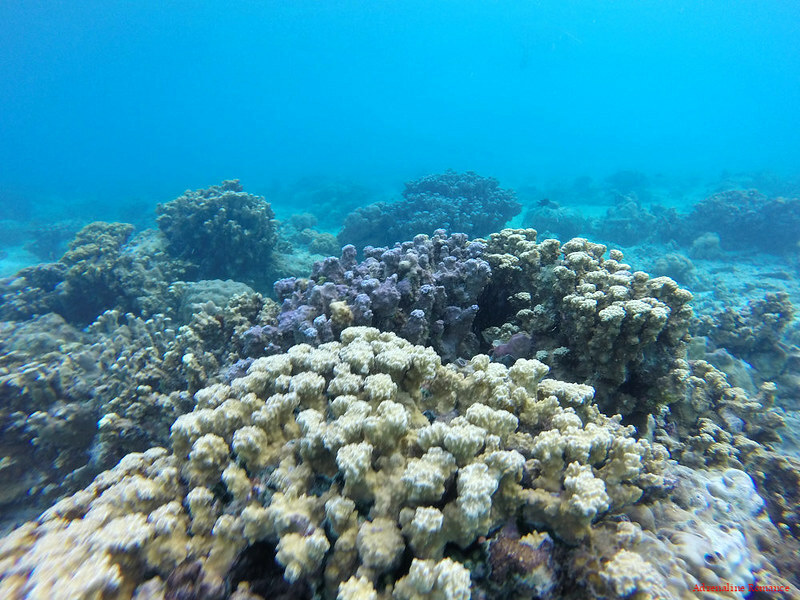 Our guess is that it is probably not an “official” marine sanctuary as described by law. Rather, it is, in essence, a sanctuary in the sense that fishing, docking of boats, throwing of anchors, etc. are not allowed there. Actually, this is not an isolated case. In many places in the Philippines, you can swim, snorkel, and dive in marine sanctuaries. But you are not allowed to spearfish, destroy corals, anchor boats, etc. Unless, of course, if there are no-swimming, no-diving policies that are strictly implemented like the one in Sabang Bay, Puerto Princesa, Palawan.